Charleston, SC is the #1 city in the world for many tourists, and for engagement and weddings the #2 most favorite chosen city for its historical backgrounds, plantations, beaches known as the Lowcountry. An engagement session can be fun and different depending on each client’s preferences. 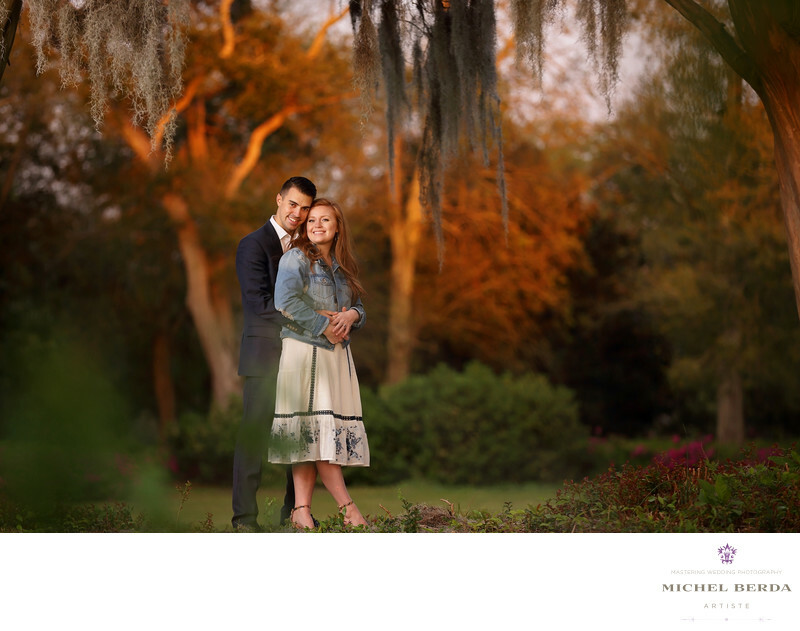 For this E-session the clients decided to have it captured at Hampton Park, 60 acres that is located on the peninsula, most locals come here to run, walk their dogs, enjoy the peaceful surrounding of beautiful greenery, filled with Spanish moss trees, water fountain, and a bridge, including two green gazebos. We engagement photographers love this place it is an absolutely perfect setting for an engagement session when you are looking for those garden low country amazing engagement photos.Keywords: Charleston (1179), Charleston SC engagement photo (15), engagement photographer (33), engagement photographer charleston sc (21), engagement photography charleston sc (30), engagement photos Hamton Park (3), king street photo weddings (219), Michel Berda (1140), photographer (1125), Wedding Photographer (1254).